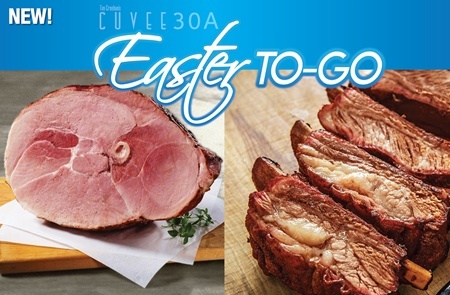 Celebrate an Easter Sunday heat and serve holiday meal Cuvee 30A style with Chef Tim Creehan’s cuisine right in your own home. Enjoy seasonal delicacies and carryout-exclusive offerings such as Honey Pineapple Baked Ham, Beef Short Ribs, BBQ Shrimp and Grits, Caesar Salad, Key West Lime Pie and more. Explore the options and order online now!